System or Network administrators looks ports and applications to solve problems. Getting port and application info in Linux can be done lsof command. But in Windows? 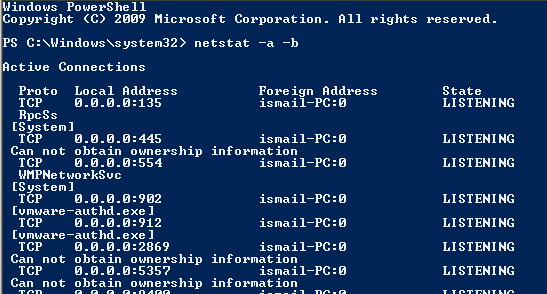 netstat is a very popular and useful tool used to get network and port-related information. We will use netstat command like below in order to list which process, application or service listening which port on Windows. Local Address is the current local system IP address. 0.0.0.0 means every IP address current system have. Because the current system may have multiple interfaces and IP addresses. State specifies the given port status like LISTENIN, CLOSED, CONNECTED etc.